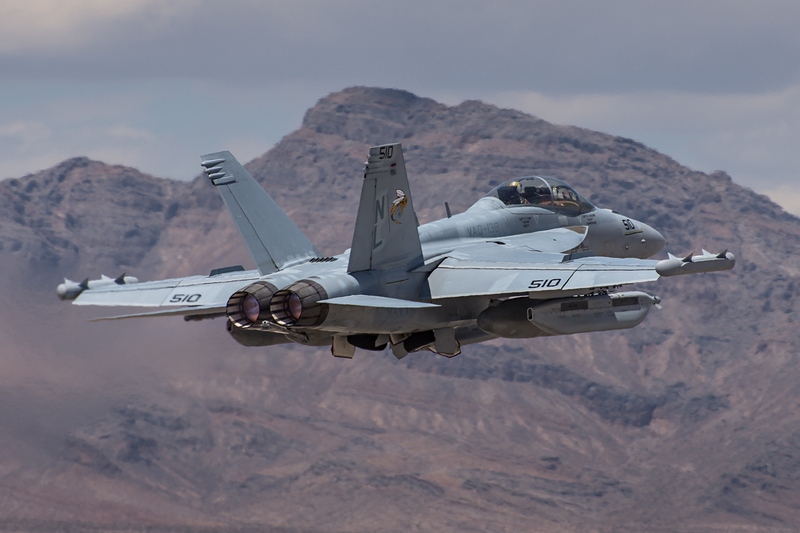 With 105 degree Fahrenheit (40.5 degree Celsius) plus temperatures, the Las Vegas, Nevada area is not the ideal location to visit in mid-July. 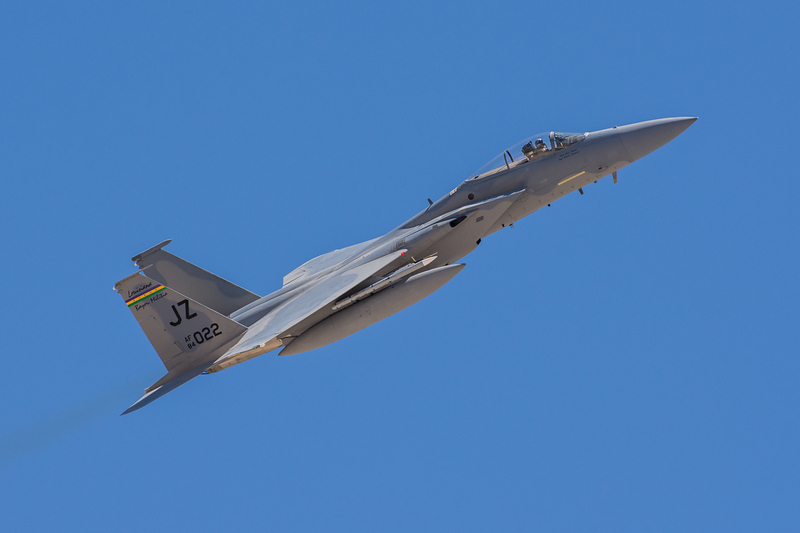 The hot midday sun and arid conditions are enough to leave a person longing for a pool of ice water to dive into. 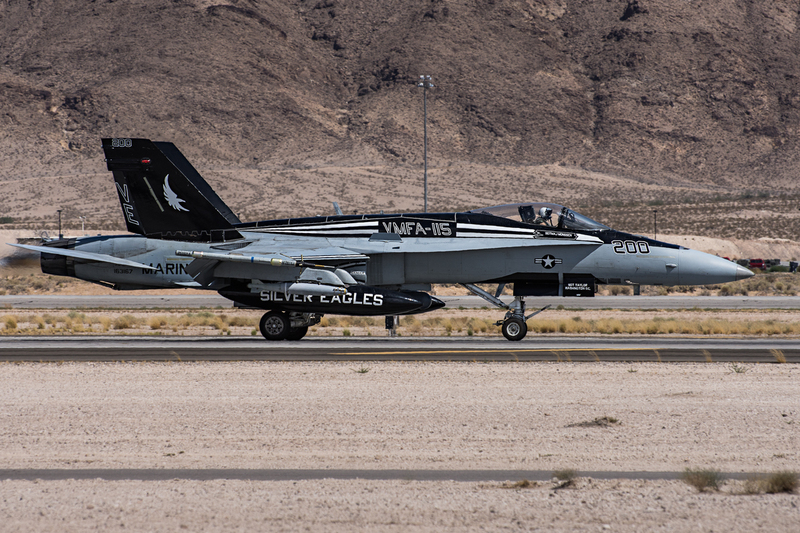 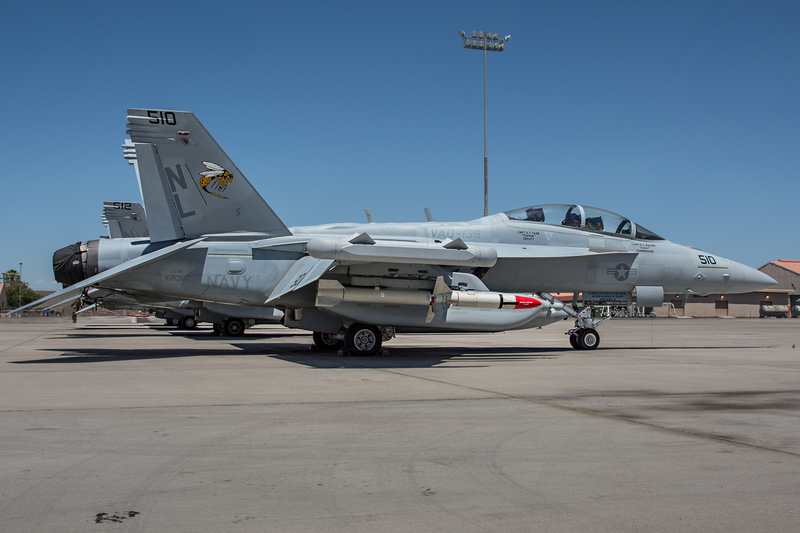 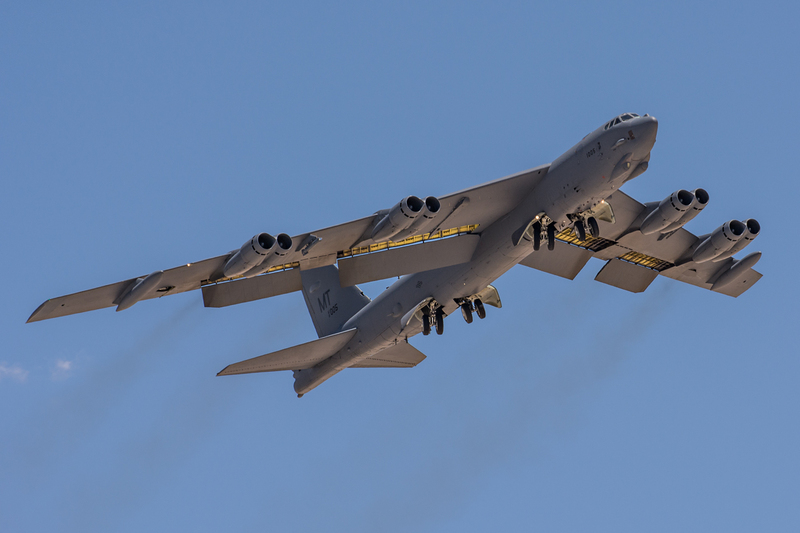 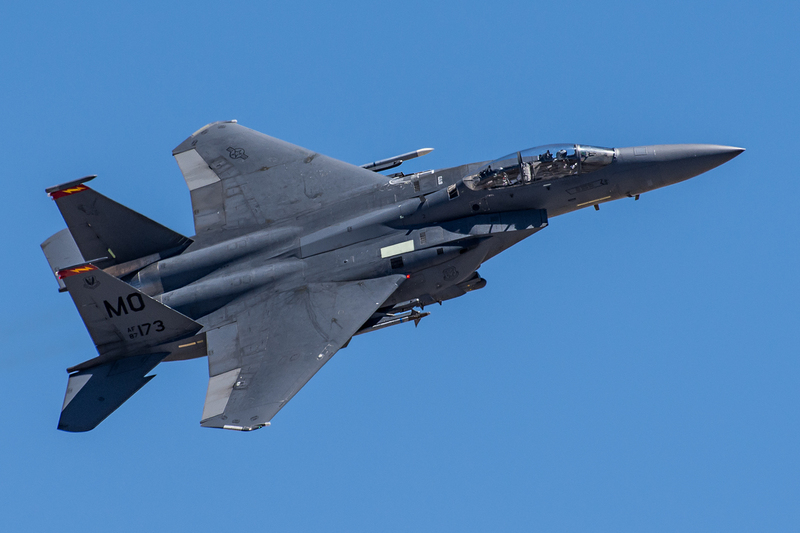 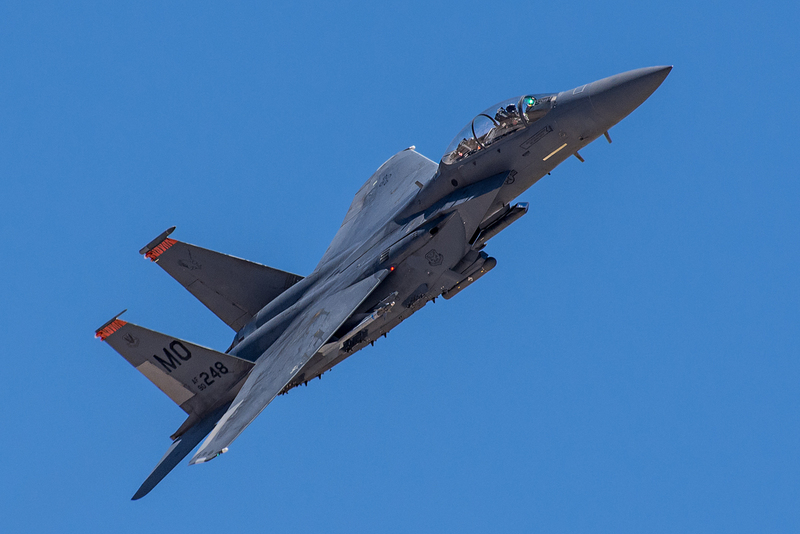 Still, thousands of aviators, crew and support personnel, from around the U.S. and other parts of the world, managed to find themselves at Nellis AFB in Nevada, entrenched in Exercise Red Flag 15-3. 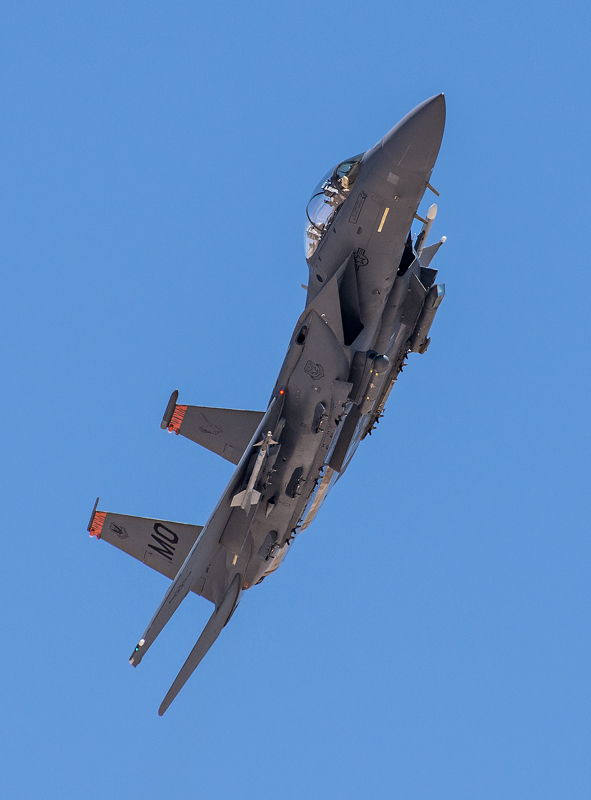 While there appeared to be no underlying theme for Red Flag 15-3, this exercise was unique in that there was no participation from foreign forces. 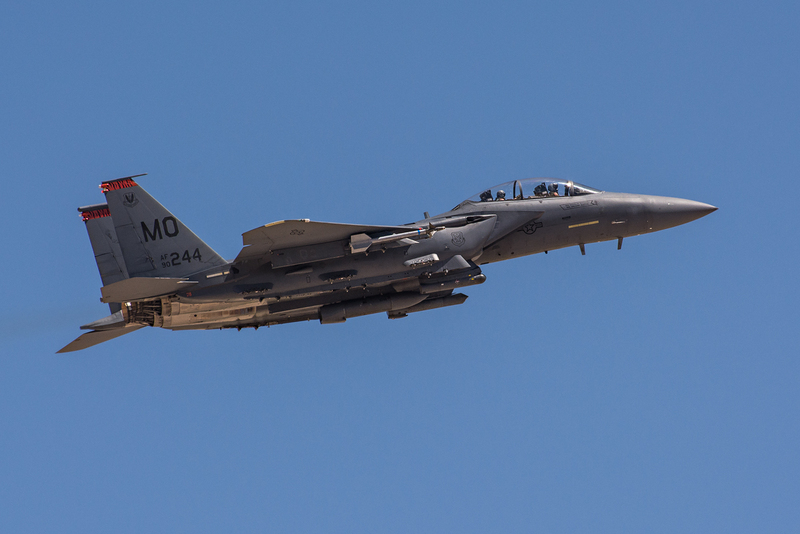 However, this “All-American” Red Flag exercise had representation from each of the major U.S. DoD forces. 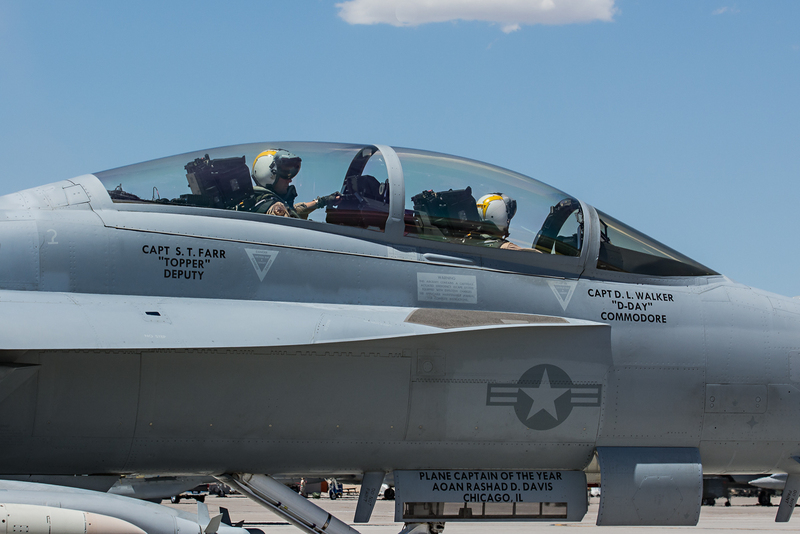 While Red Flag is designed to simulate a pilot’s first ten combat missions, the way this is accomplished often varies. 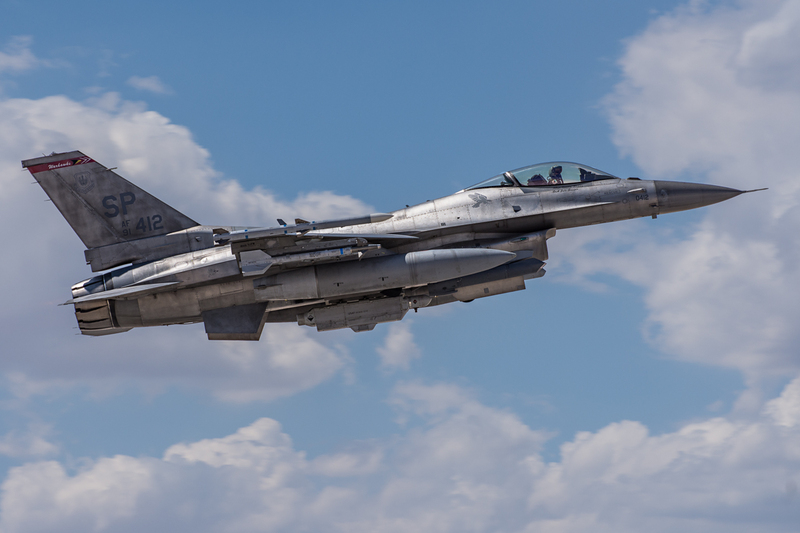 Red Flag 15-2 saw the incorporation of the “virtual” component along with a continued presence of modern-day threats from cyber and space components. 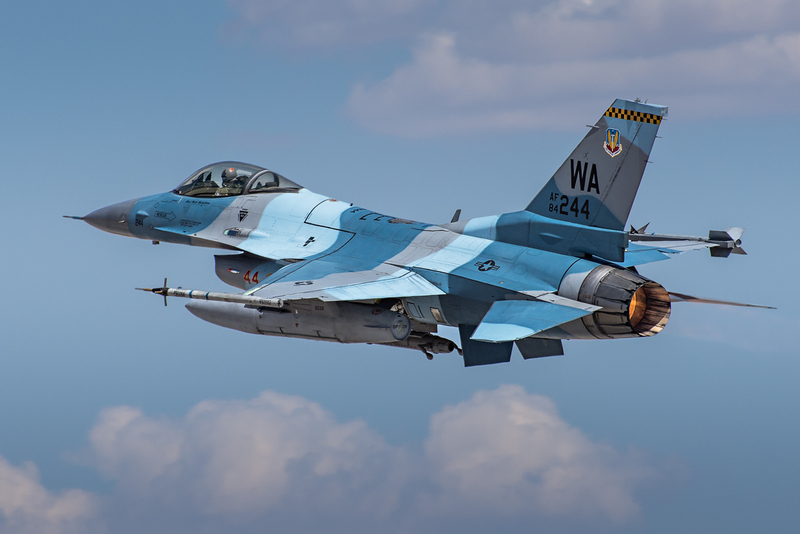 With the 65th Aggressor Squadron standing down after Red Flag 15-1, Red Flag 15-3 saw the continuation of the enhancement of the aggressor or “Red Forces” with participating aircraft. 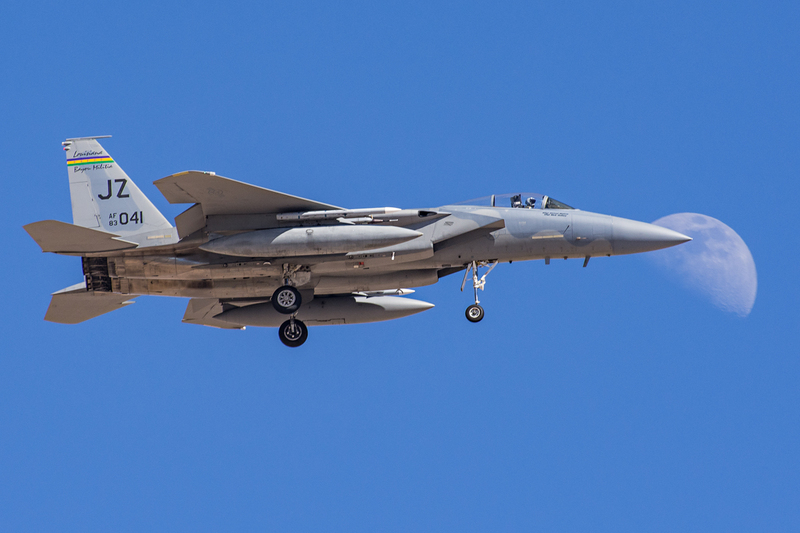 This approach began with Red Flag 15-2 and continued through Red Flag 15-3. 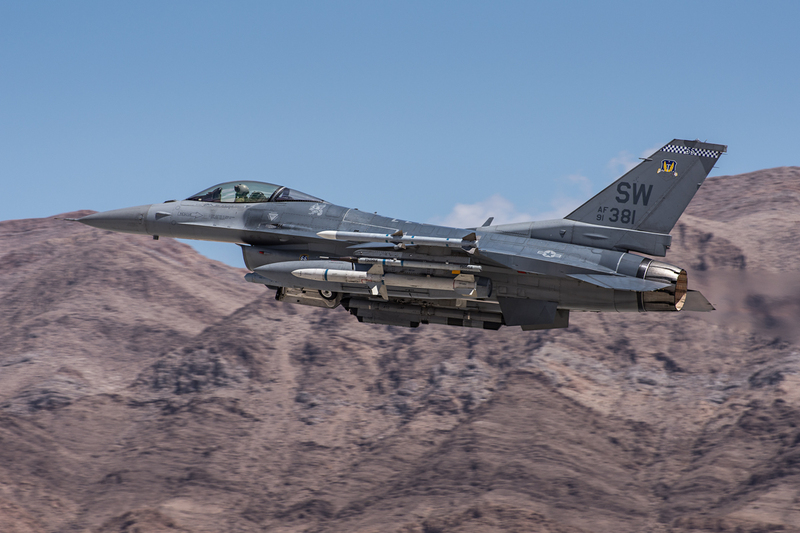 Major Haggerty, explains: “We do have augmentation from some participating units. 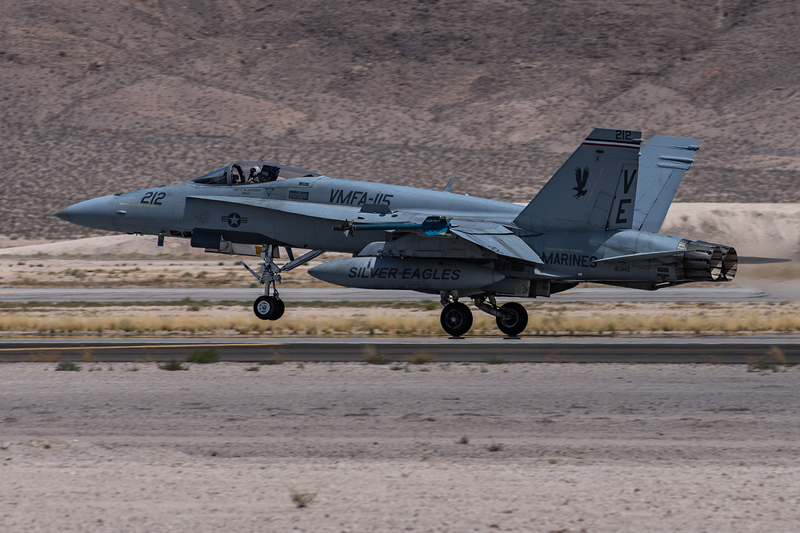 So, besides our local aggressors, we have, actual, ‘Blue’ participants providing some assets to fly ‘Red’ air.” Maj Haggerty went on to explain that several units were being called on to augment the “Red Forces” with aircraft including: US Navy EA-18G Growlers, USMC EA-6B Prowlers, USMC F/A-18A+’s and USAF F-15’s and F-16’s. 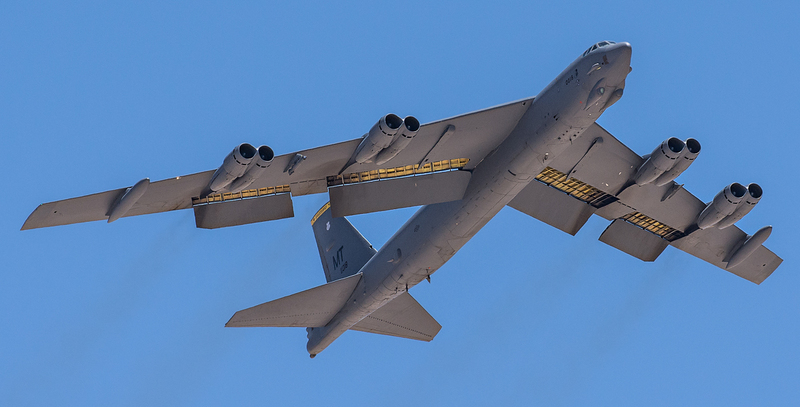 This focus on preparation required a block of time that could be allocated for training. 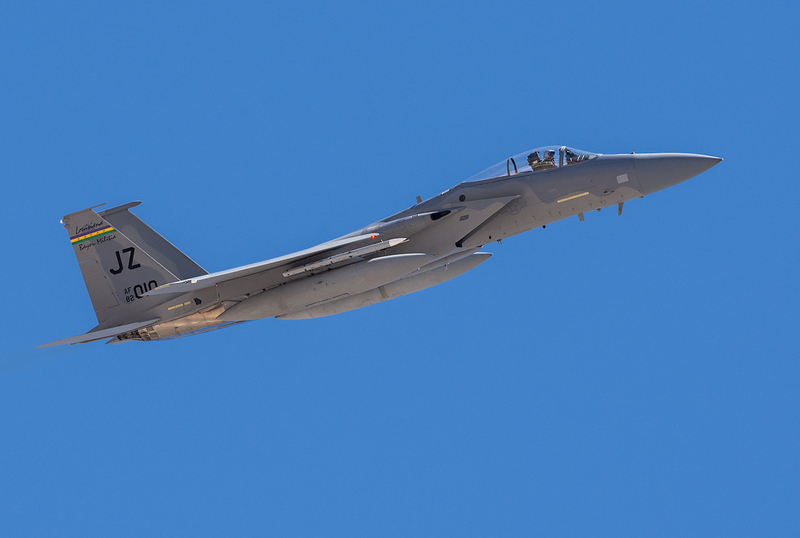 “We got back from Guam last year and Red Flag was the next big thing on the docket, so we started focusing on that as early as possible. 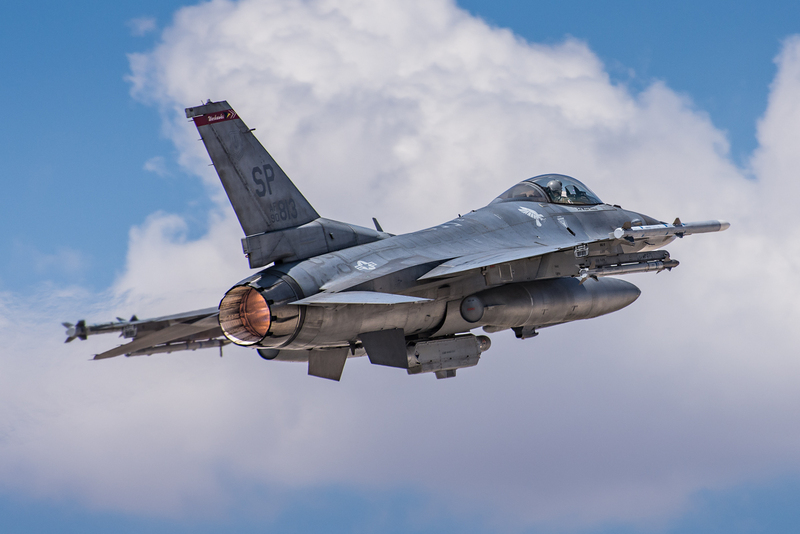 We wanted to focus on and show the CAF (Combat Air Forces) what we could do so that when we got here our entire unit was on the same sheet of music, could perform as well as we could, and didn’t’ look like the slow ponies when we showed up,” said Britt. 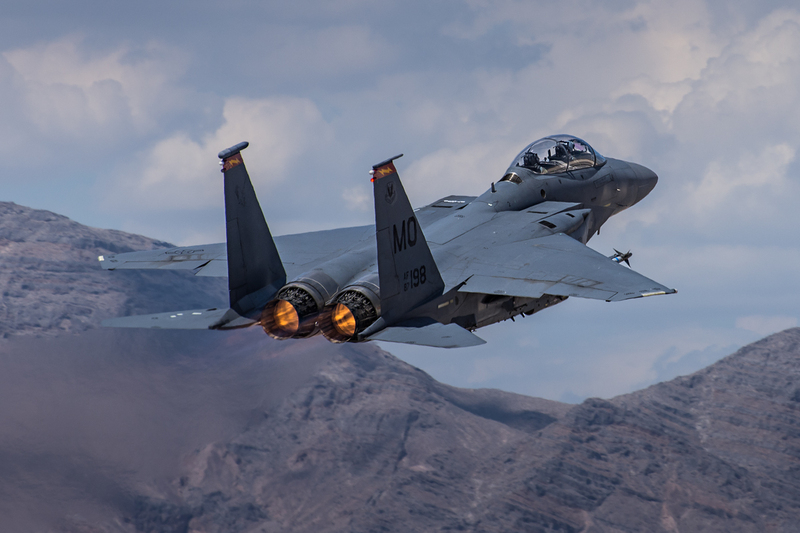 With this approach to mission planning, success is often determined by how well the plan is executed. 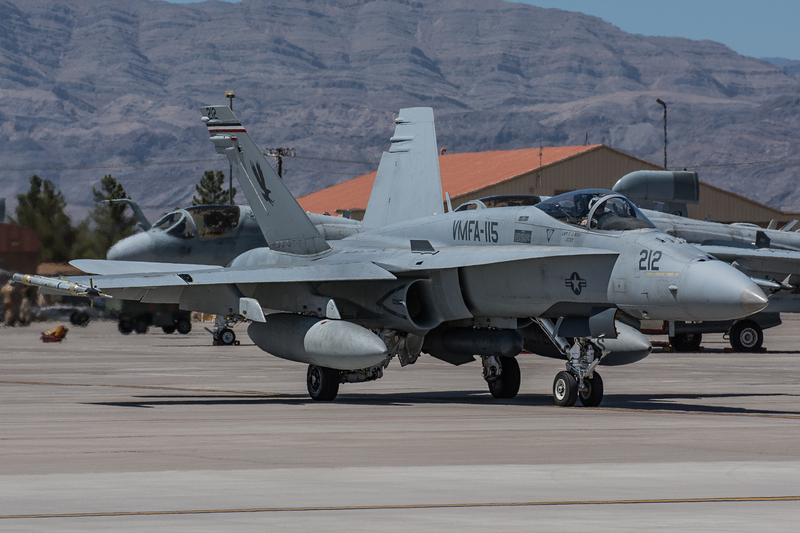 As with most Red Flag exercises, Red Flag 15-3 included a wide range in the type of assets that were participating. 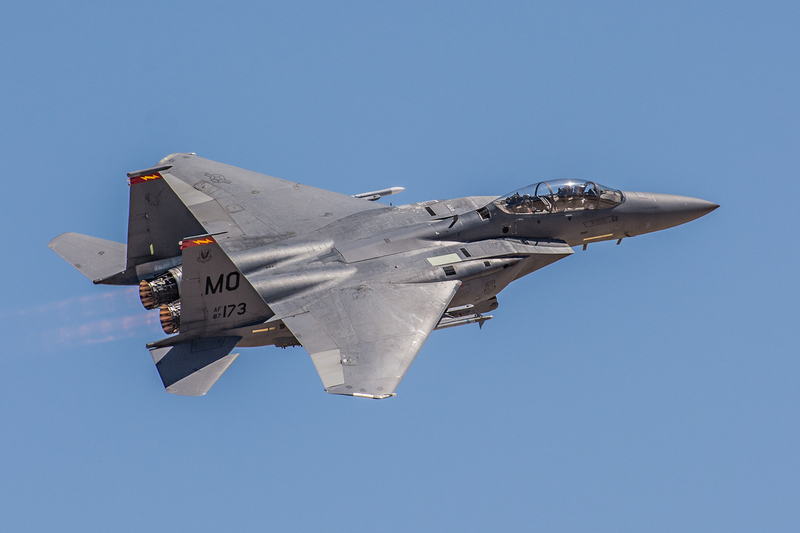 In the realm of fighter aircraft, in the interdiction role, the USAF relied heavily on Eagles and Strike Eagles. 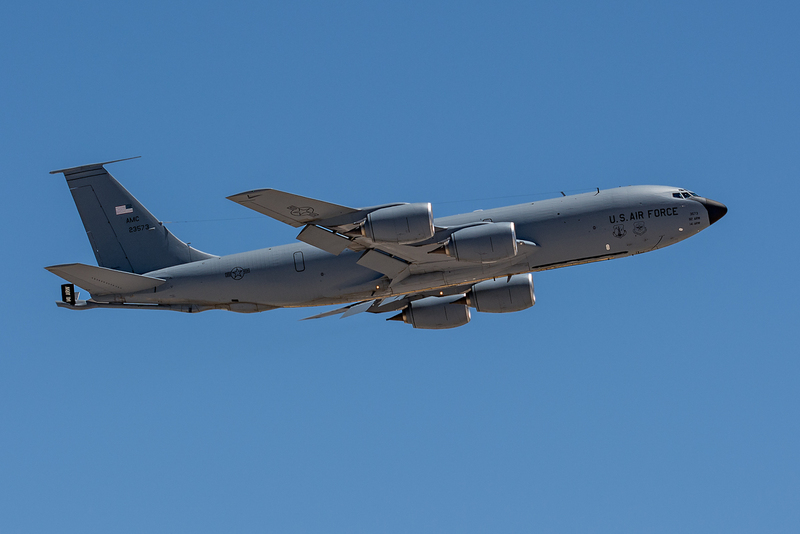 Two units from Mountain Home AFB were present. 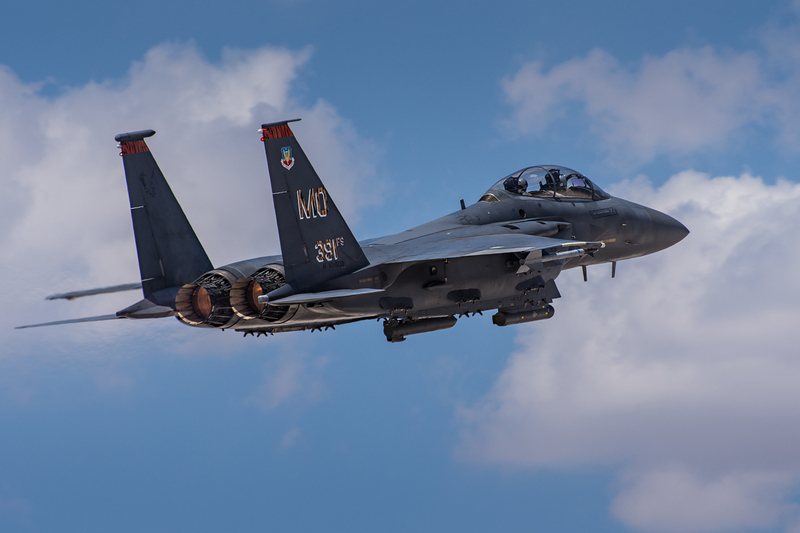 The 389th Fighter Squadron (389 FS) “Thunderbolts” and the 391st Fighter Squadron (391 FS) “Bold Tigers”, both fly the McDonnell Douglas F-15E Strike Eagle. 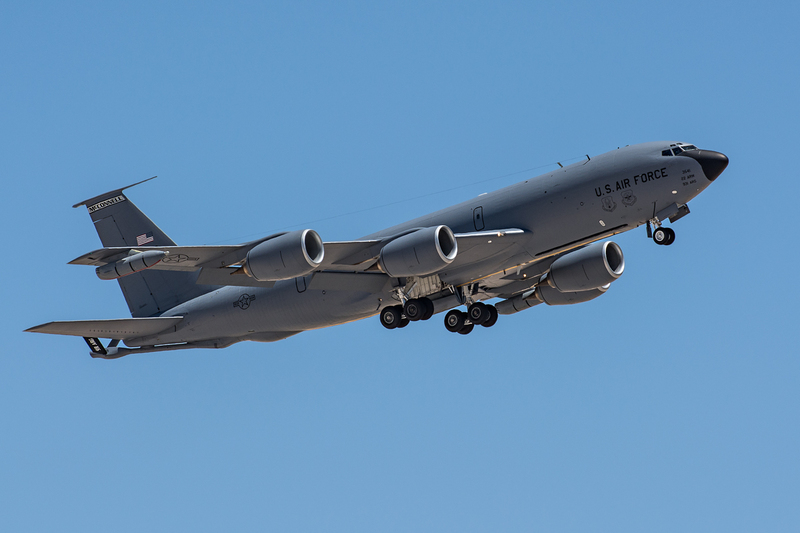 Both units were away from home while the runway and taxiways are being upgraded at Mountain Home AFB. 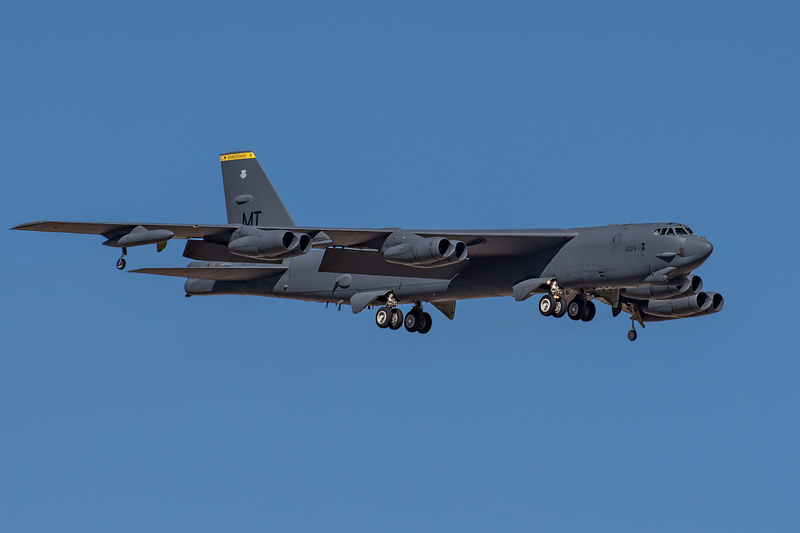 Originally built in 1943, and “touched up” throughout the years, Mountain Home AFB’s runway was considered in poor shape and a threat for FOD and other safety concerns. 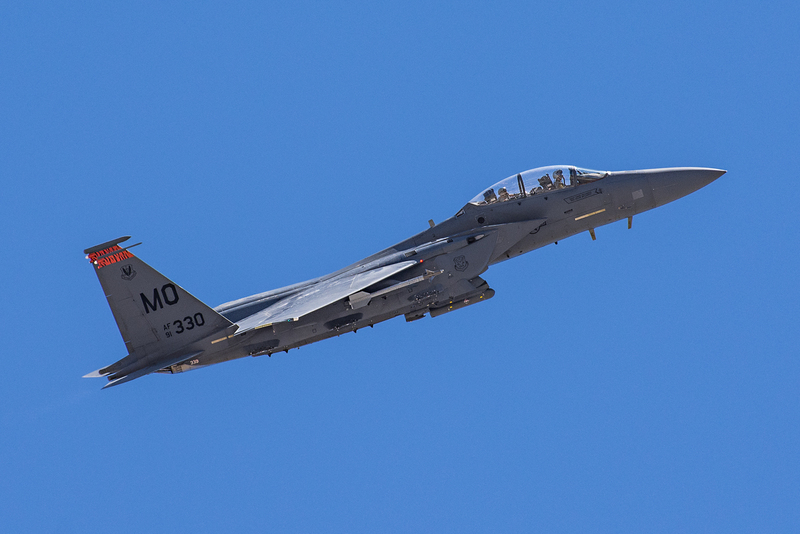 Flying the McDonnell Douglas F-15C Eagle, the 122nd Fighter Squadron (122nd FS) “Bayou Militia” of the Louisiana Air National Guard’s 159th Fighter Wing also participated. 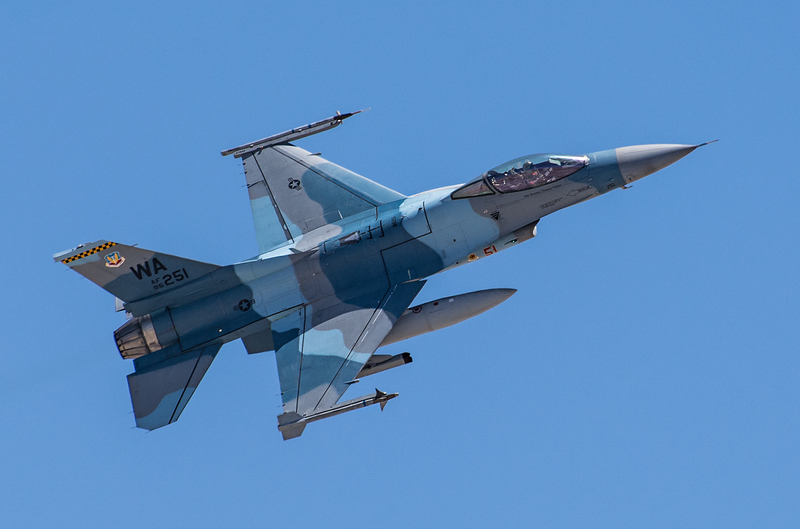 The USAF was not without the presence of the F-16 Fighting Falcon. 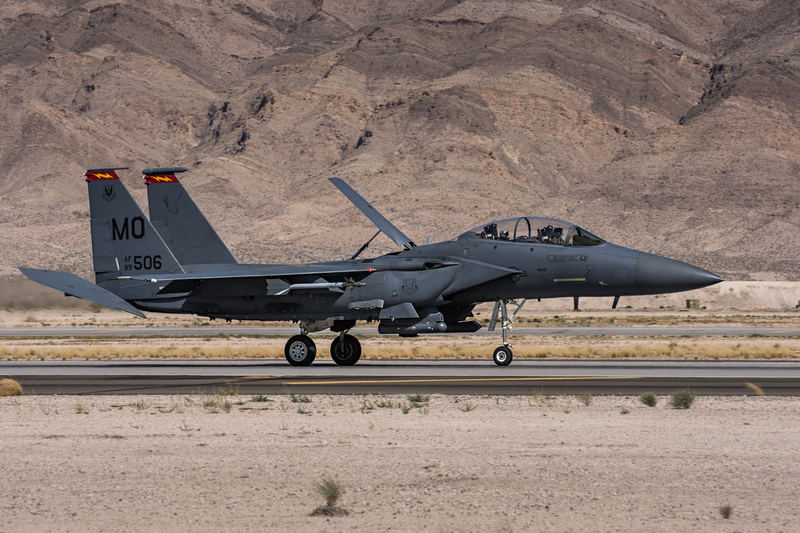 The 480th Fighter Squadron (480 FS) “Warhawks” from Spangdahlem Air Base, Germany made the journey overseas to participate. 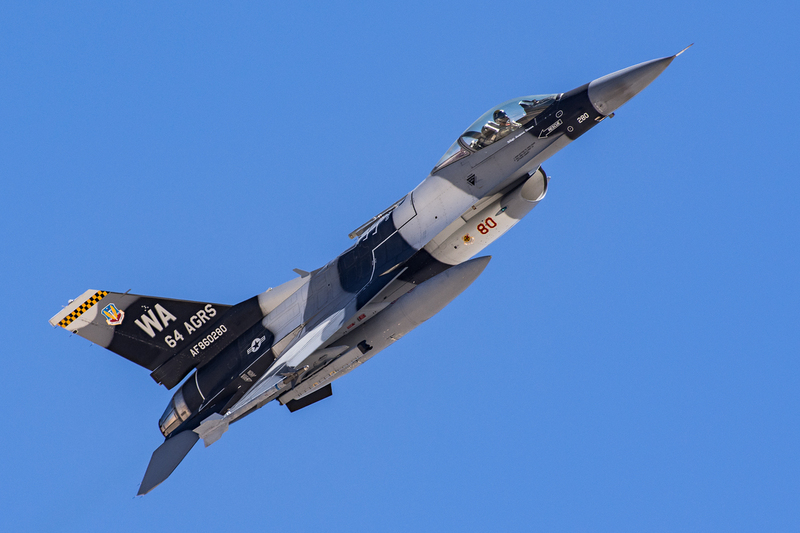 Some of the 480th FS’s F-16CM’s were painted with “Have Glass” coating. 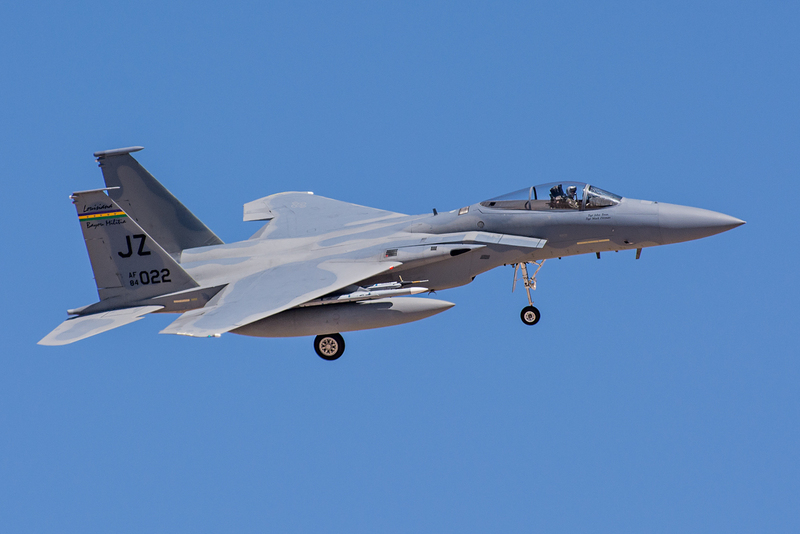 Have Glass is a Radar-absorbent material (RAM) coating similar to what is used on 5th generation aircraft. 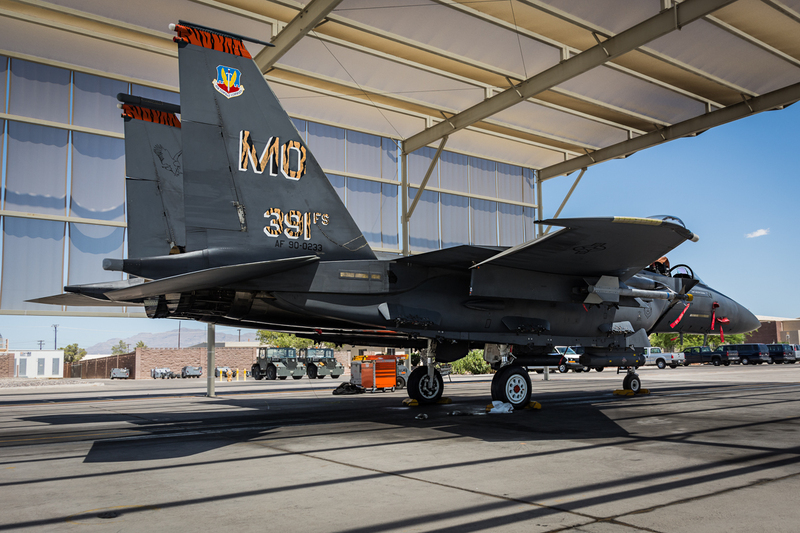 The coating gave the aircraft a gunmetal-like surface appearance. 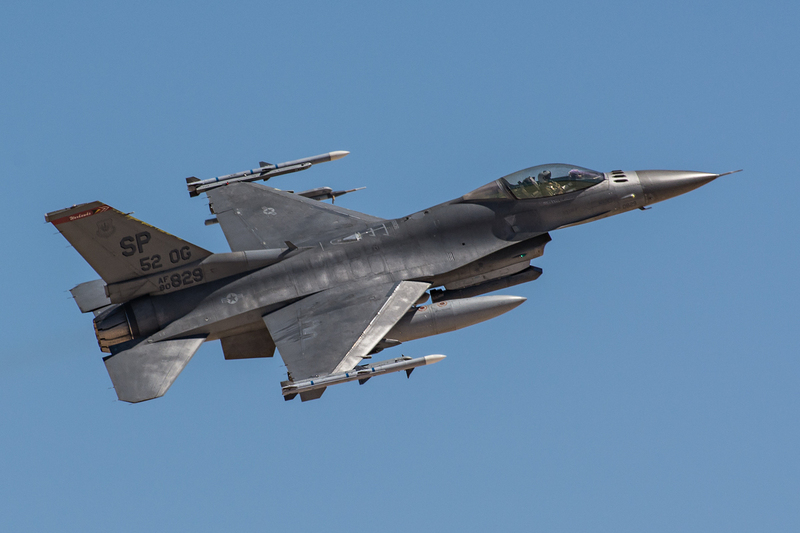 Other F-16’s, which operated in a SEAD (Suppression of Enemy Air Defenses) role, were the F-16CM’s from the 55th Fighter Squadron (55 FS) out of Shaw AFB in South Carolina. 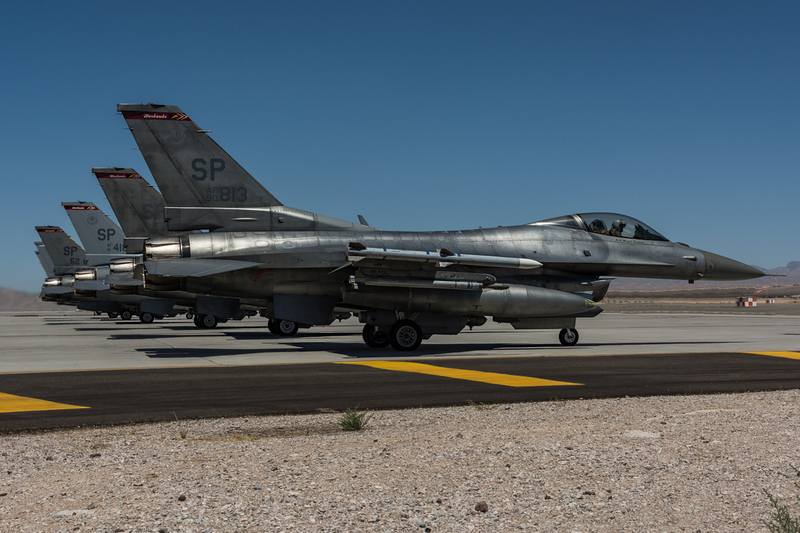 Various squadrons of F-16’s from Shaw AFB have a regular presence at Red Flag. 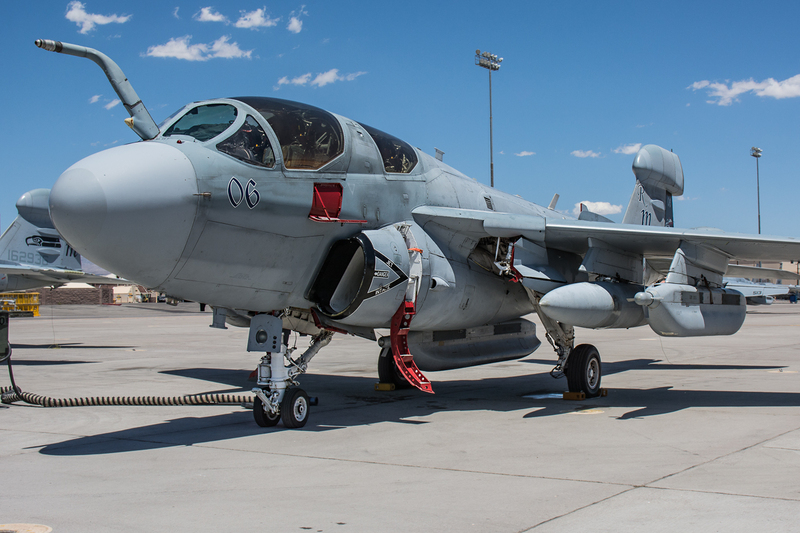 Other assets that operated in a SEAD role included: Boeing EA-18G Growlers from Electronic Attack Squadron 138 (VAQ-138) “Yellow Jackets” out of Naval Air Station Whidbey Island, Washington and Northrop Grumman EA-6B Prowlers from Marine Tactical Electronic Warfare Squadron 4 (VMAQ-4) “Seahawks” out of Marine Corps Air Station Cherry Point, North Carolina. 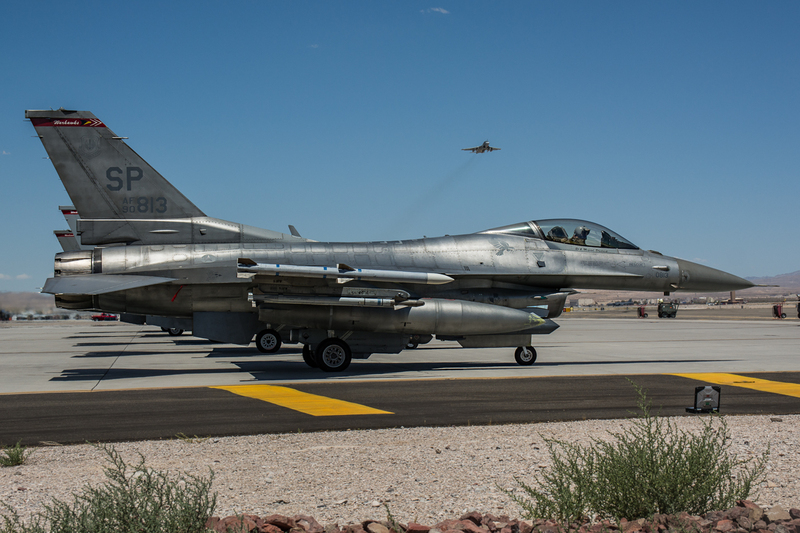 As aggressors, Nellis AFB’s own 64th Aggressor Squadron participated with their F-16’s. 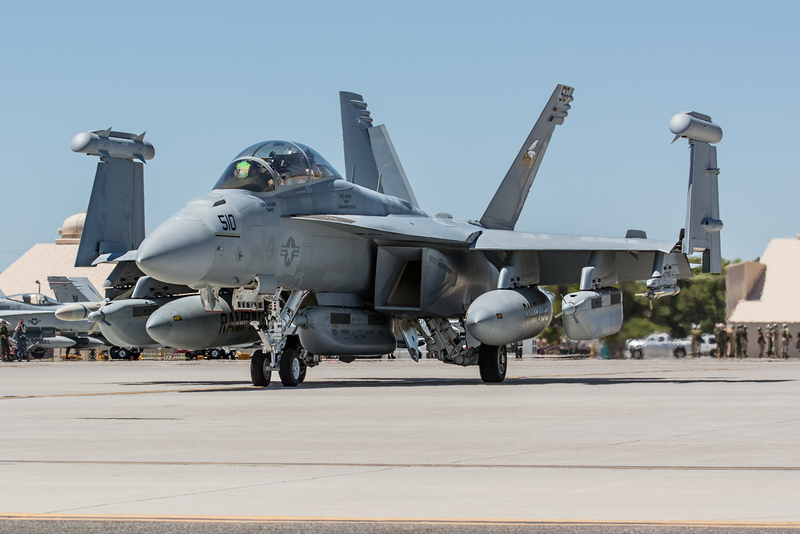 The USMC also participated with McDonnell Douglas F/A-18A+ Hornets from Marine Fighter Attack Squadron 115 (VMFA-115) “Silver Eagles” out of Marine Corps Air Station Beaufort, South Carolina. 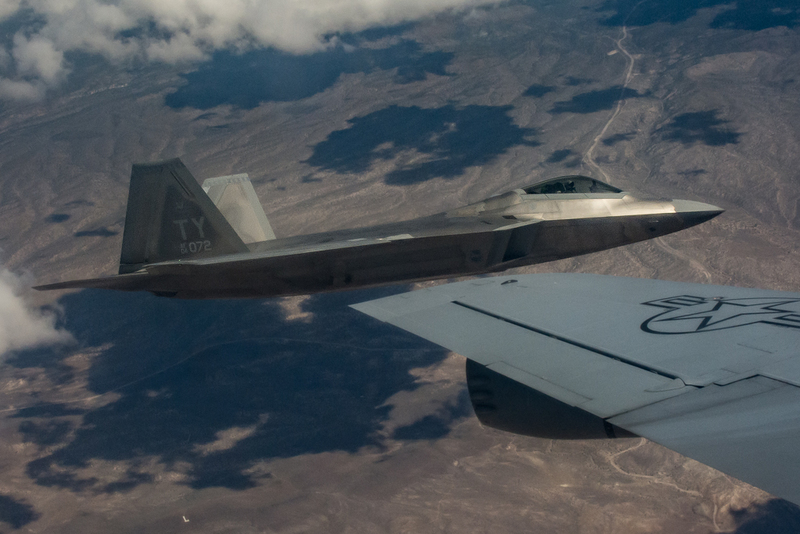 5th generation aircraft participation was from the Lockheed Martin F-22A Raptor’s of the 95th Fighter Squadron (95 FS) “Boneheads” out of Tyndall Air Force Base, Florida. 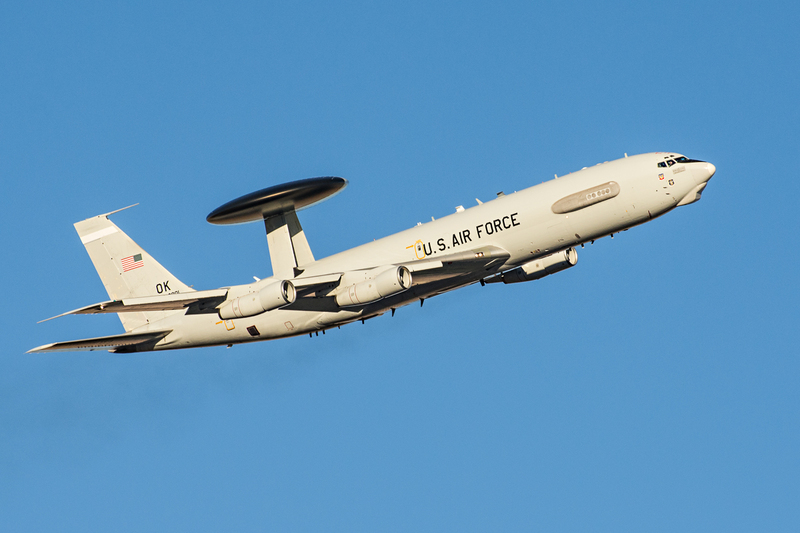 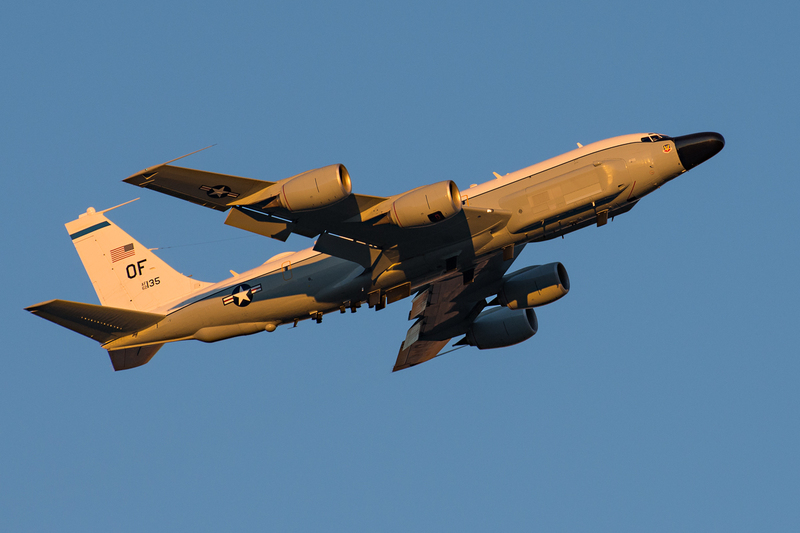 Special purpose aircraft included: Boeing E-3A Sentry’s from 960th Airborne Air Control Squadron (960 AACS) from Tinker AFB, Oklahoma, Boeing RC-135V/W Rivet Joint’s from the 38th Reconnaissance Squadron (38 RS) from Offutt AFB, Nebraska, Northrop Grumman E-8 Joint STARS (JSTARS) from the 16th Airborne Command and Control Squadron (16 ACCS) out of Robins AFB, Georgia, Boeing KC-135 Stratotankers from 344th Air Refueling Squadron (344 ARS) out of McConnell AFB, Kansas and Lockheed EC-130H Compass Call aircraft from 43rd Electronic Combat Squadron (43 ECS), Davis-Monthan AFB, Arizona. 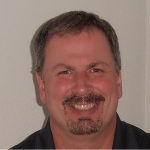 A SANDY is a pilot specially trained in search procedures, survivor location and authentication techniques. 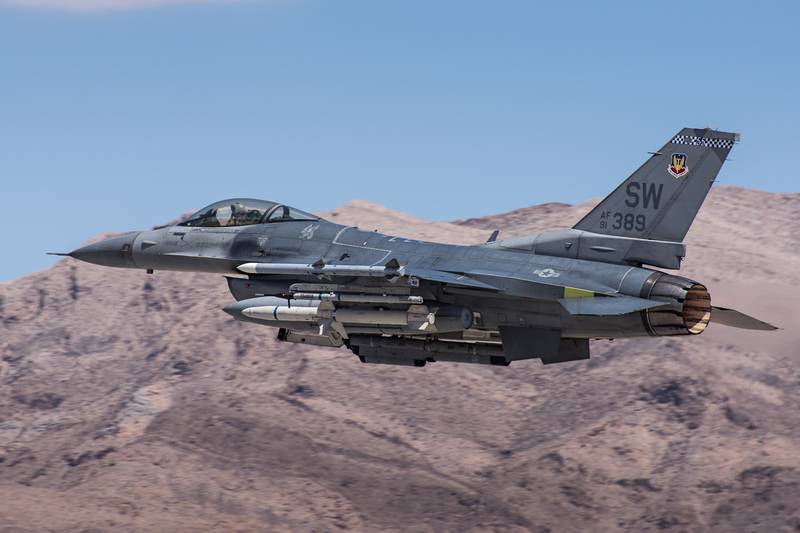 SANDY pilots are also skilled in supporting rotorcraft for CSAR missions. 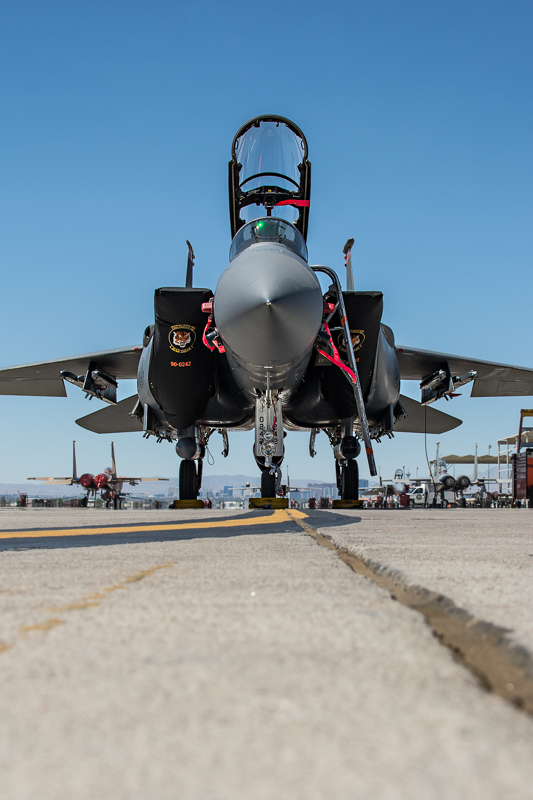 With the 414th Combat Training Squadron taking over the facilitation and coordination of Angel Thunder, the world’s largest personnel recovery exercise, one can expect the CSAR component of Red Flag to increase in significance. 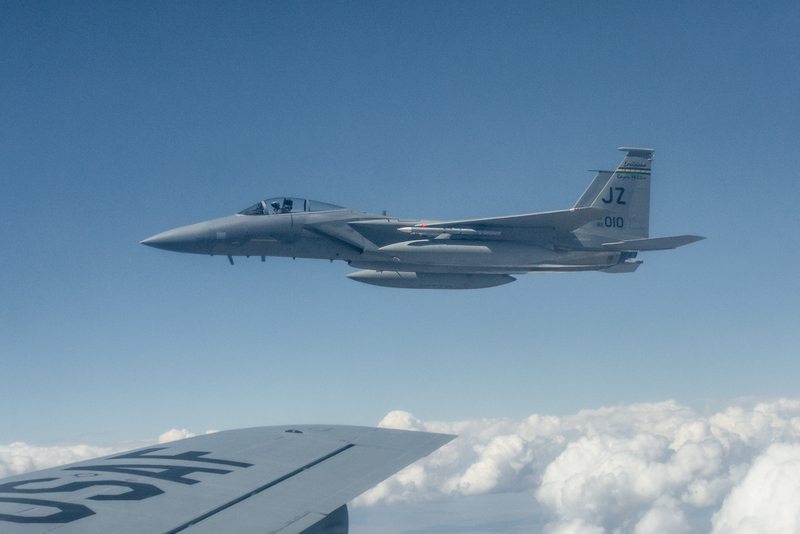 Lessons learned from both exercises can be exchanged to help train personnel recovery forces from the U.S. and partner nations in the best personnel recovery practices. 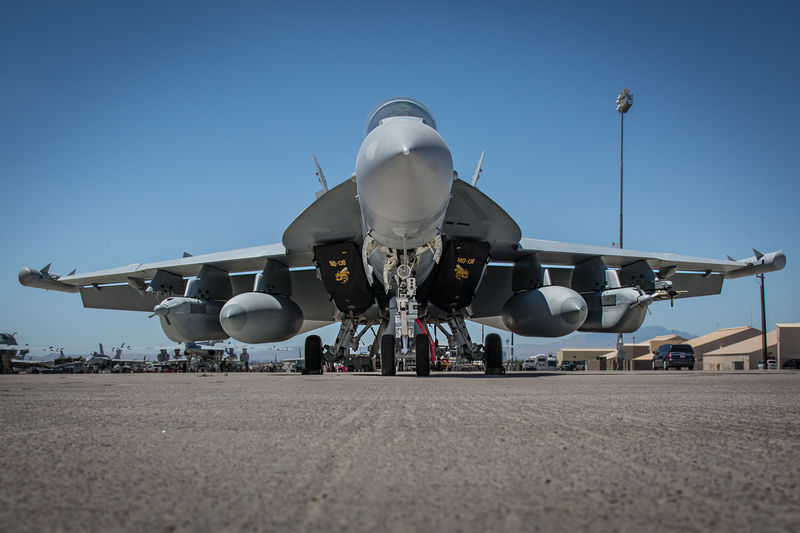 The importance of large-scale exercises cannot be understated. 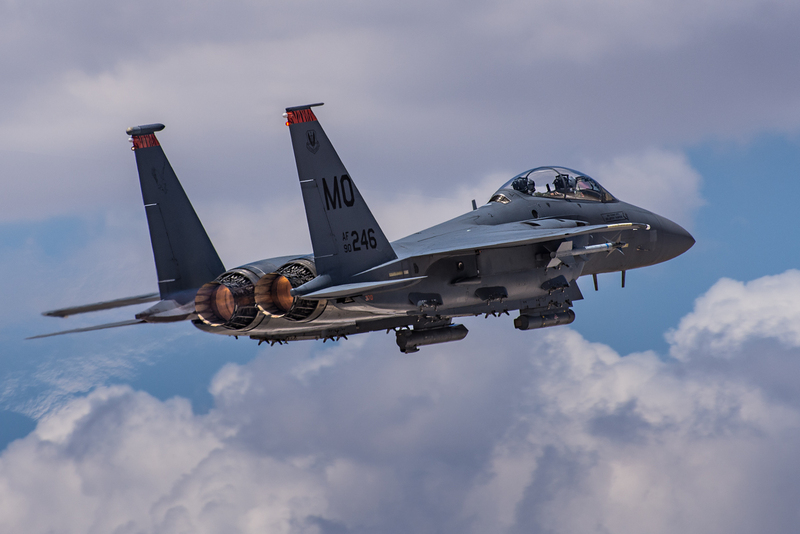 DoD and coalition forces with dissimilar assets, procedures and terminology need to learn how to work together, under duress, to keep and maintain combat readiness. 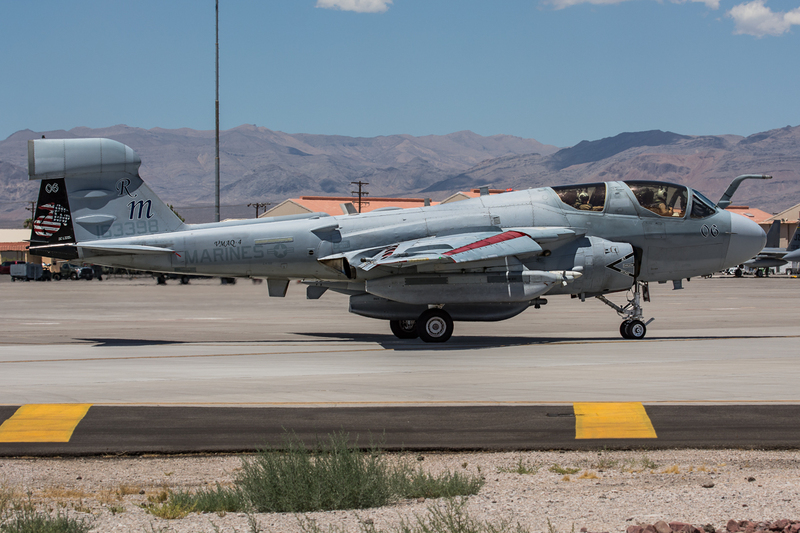 In the hot summer Nevada sun, Red Flag 15-3 was a success. 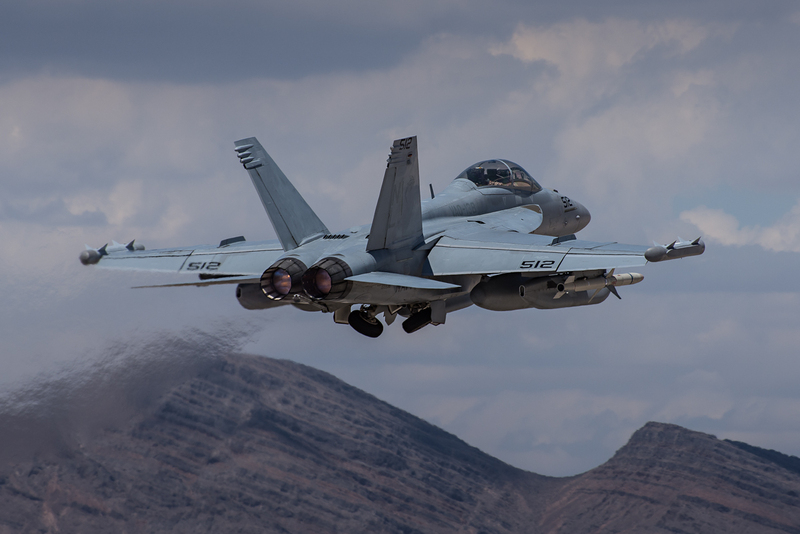 With 3000+ personnel and almost 100 aircraft participating, Red Flag continued its large-scale presence in the Nevada skies. 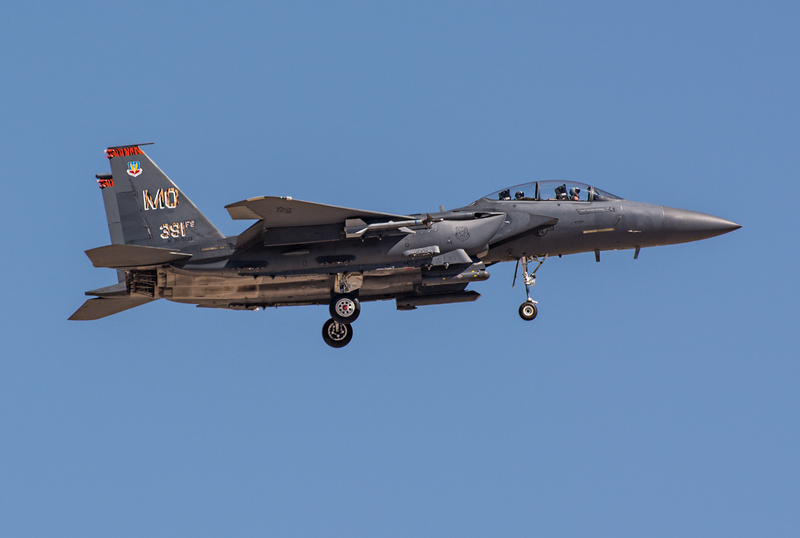 With participation from Israel, Jordan, Singapore and various DoD units, Red Flag 15-4 appears to be a grand finale for the 2015 iterations of Red Flag. 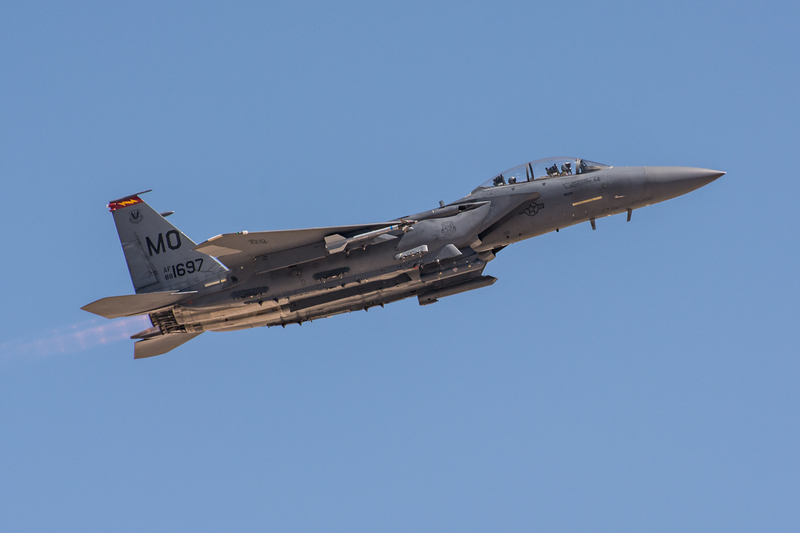 With the value and results the exercise delivers, one can hope that the FY-16 budget allows for four Red Flag exercises next year. 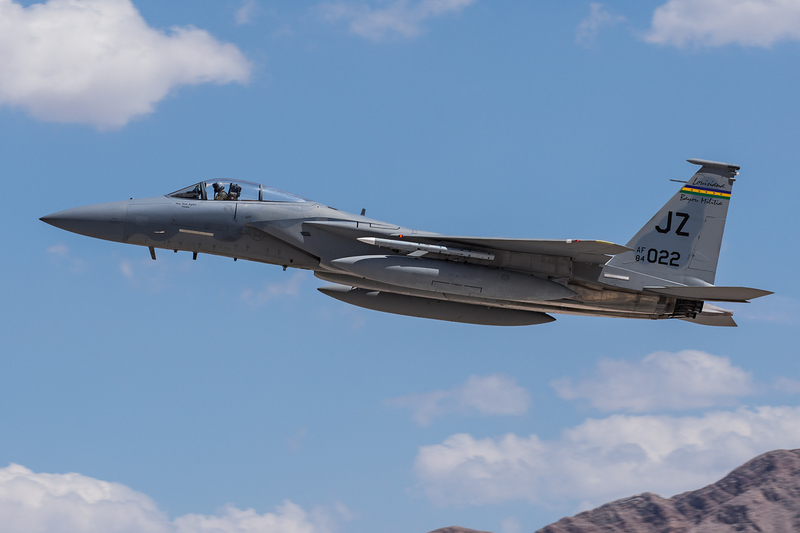 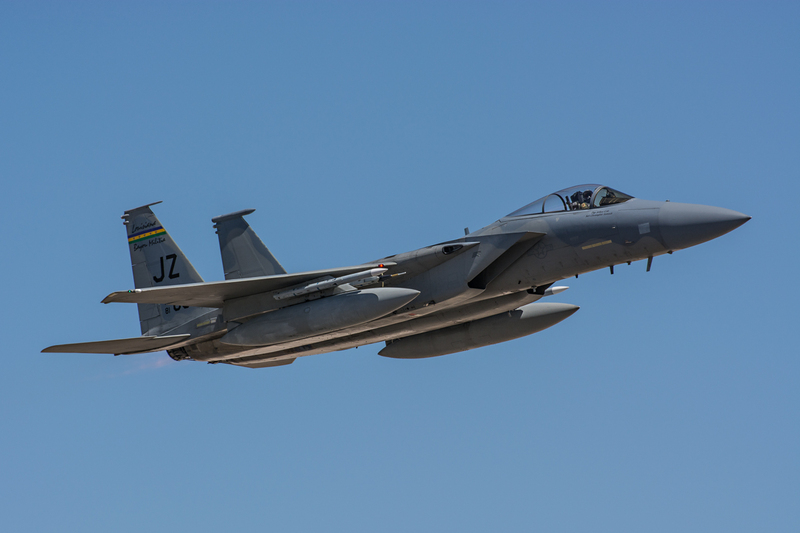 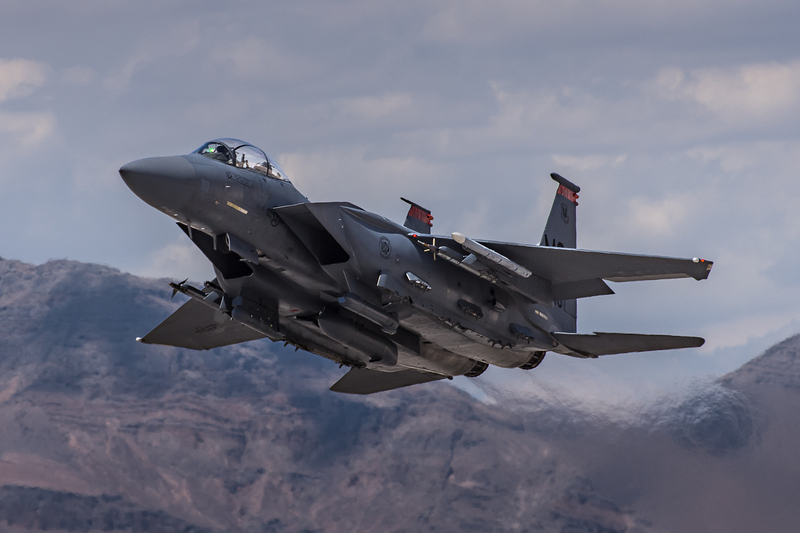 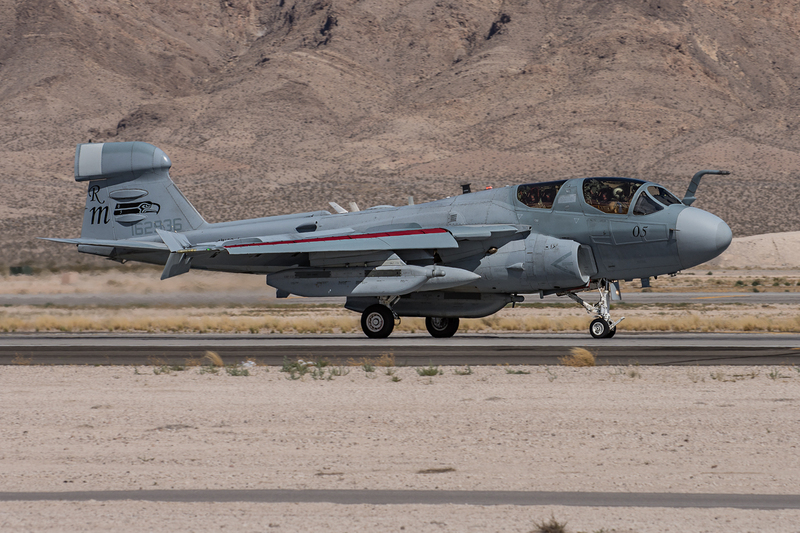 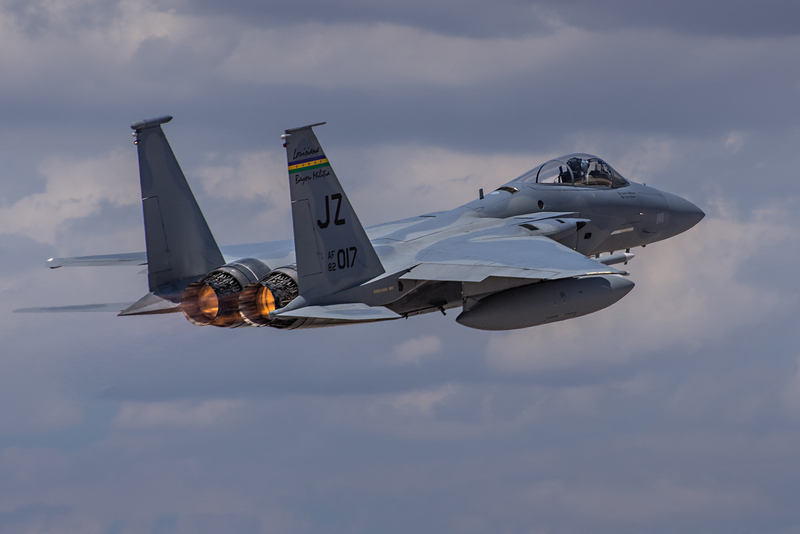 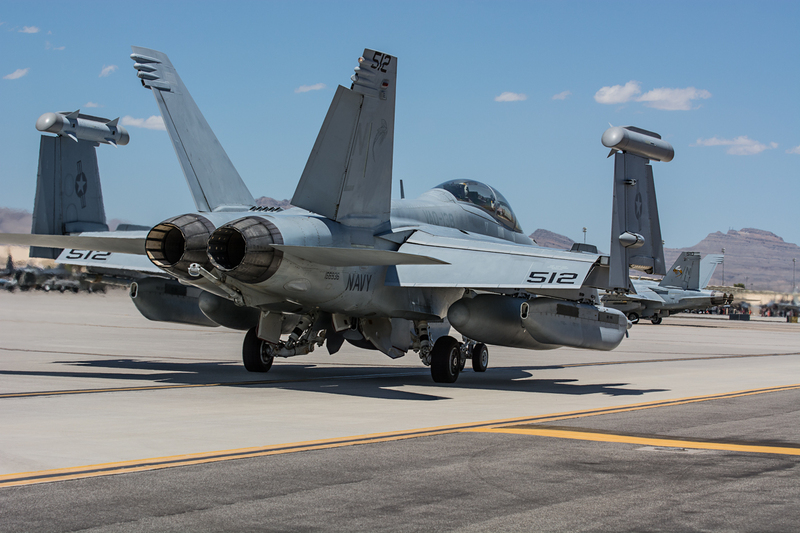 Red Flag 15-3 took place July 13-31, 2015 and was hosted by Nellis AFB in Nevada. 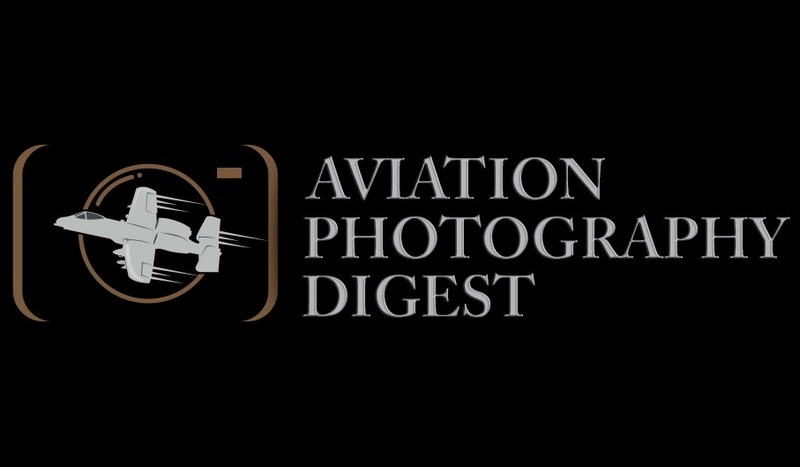 Aviation Photography Digest would like to thank: MSgt Sanjay Allen, SSgt Darlene Seltmann, SrA Thomas Spangler, SrA Joshua Kleinholz, A1C Jake Carter and the remainder of the 99 ABW/PA for their support.